I’m getting to a certain age where I must begin to consider what I’m going to do with my time when I become “retired”. Leaving aside the rather worrying notion I may well never actually retire as the UK’s official retirement age creeps ever upwards as we all live longer, I still need to think about how I’m going to live out the autumn years of my life. There is an age disparity between myself and Best Beloved of some quarter century, and it’s pretty obvious to both of us I may well not have the pleasure of his company into my dotage. We don’t have dependants, so once he’s gone I will have to be self-sufficient for as long as I can manage it. Moving swiftly on from that rather depressing thought, I’m currently letting myself have a little daydream, which I amusingly call my Retirement Plan. There’ll be none of that checking into a retirement apartment, or sheltered accommodation, or even getting myself on Crusty Cruises around the Mediterranean. My plan is predicated on my inheriting Best Beloved’s estate. As we have no mortgage or major outstanding debt, I would hope to be able to liquidate the house and invest the proceeds. I would then purchase a mobile home (RV, self-propelled tin snail, whatever you fancy) and set off to explore the glories of the land of my birth. The vehicle will need to be large enough for me to live in comfortably. It will need sufficient secure storage for my camera gear and a laptop, as well as clothes, food and the usual prerequisites of life. It will need to be self-sufficient for the times when I can’t plug into the grid. It will need internet access of some kind. To offset the size of the living van, I can hitch a small car to the back. Once I’m safely berthed in a campsite somewhere I can use the car to explore, reasoning a small car is easier to park than a bus, and drier than a moped or bicycle! The basic idea is now settled. I am assuming I really will be setting off on, and be able to fund in some way, a Grand Tour of the British Isles. What’s happening now is I am beginning to think about the places I want to visit, and the best way to cover the country to see the best bits. It’s not like I will have a time limit. My time will be my own, to spend as I please. If I land up somewhere, I might spend a week, a month or even longer. 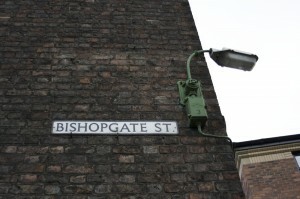 It would be really great to get to know an area on more intimate terms than the usual tourist traps. When I’m ready, weigh anchor and away I go. It would be useful to have some kind of underlying tour plan, and I suppose it wouldn’t hurt to book berths in advance when I can. To avoid traffic I am considering overnight driving between stopping places, allowing myself a day or so once settled to prepare for my visit. Although I plan to be on the road permanently, I should also allow for times when I may be unwell, or the weather just too inclement, where I ought to heave to in a hotel for a time. I’d love to be doing the Grand Tour until I am incapable of doing it any more. I certainly don’t want to spend my dotage in a “care” home, or dying in my favourite armchair in front of the goggle box, and there won’t be anyone in my immediate family who can “look after” me. I want to be out and being active for as long as I can manage it. I need to be independent and self-sufficient until I can’t manage any more. What’s brought on this late-onset wanderlust? I think I can lay the blame on the BBC for giving us excellent documentary television programmes like Coast and Town. Both these shows have opened my eyes to the wonders that abound in my homeland. I have lived my entire life in the bottom right-hand corner of England, with all too rare and painfully short forays to other parts on holidays and odd trips. I simply have not experienced much of my own country, and I plan to see as much as I can before I shuffle off this mortal coil. 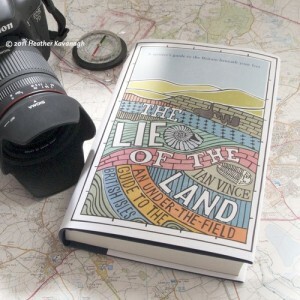 As an added incentive, I’ve recently acquired a copy of The Lie of the Land by Ian Vince. Subtitled A spotter’s guide to the Britain beneath your feet, I thoroughly recommend it. Superbly written, easy to read, and sufficiently in-depth to seriously whet your appetite for more, it will act as my guide book on my journey. While considering the book, you might also take a look at the British Landscape Club web site, where you can currently buy signed paperback editions of the book, and become a member of the club. Membership is free, and you get a lovely badge you can wear with pride. That’s enough for now. I shall go back to planning trips and day-dreaming about my retirement. I know I don’t update every day of the week, being rather happier to do it in fits and starts as the mood takes me. I also don’t tend to give you chapter and verse on my comings and goings. Not being someone blessed with a 3G phone for access all areas (for which read “I am too mean to pay for internet from my mobile devices when on the road”) when I go away I usually find I manage to drop off the internet radar until I get back home. I honestly don’t mind this, because I find I can be a bit obsessive compulsive about checking my email, Twitter and forum feeds. Having an enforced break is always a bonus, as it lets me recharge my mental health, so I can return hopefully refreshed and ready battle the world again. Anyway, over this Easter weekend I am attending the York Model Railway Exhibition, held at the Racecourse in the city. I shall be playing trains for the benefit of the paying public for three days from Saturday. This means our select band of operators and the layout will be lugged up from Maidstone to York on Thursday 21 April. We’ll set the thing up on Good Friday, entertain the visitors over the following three days, and head home on Tuesday. Hopefully, that will leave a little time for sightseeing on part of Friday. I visited York for a week’s holiday just over two years ago now, so it will be nice to revisit the city again. My mental map of the area might come in handy for tracking down suitable restaurants of an evening after the exhibition. Anyway, I’m off packing for an early start tomorrow. I’ll catch up with the world again on Wednesday. Play nicely while I’m away. A long way from HD, taken on the Canon PowerShot G9 in idle moments as a passenger in a car trundling along the M62 into Yorkshire. I was bored, so the shots weren’t meant to make a story. It scrubs up okay, though.